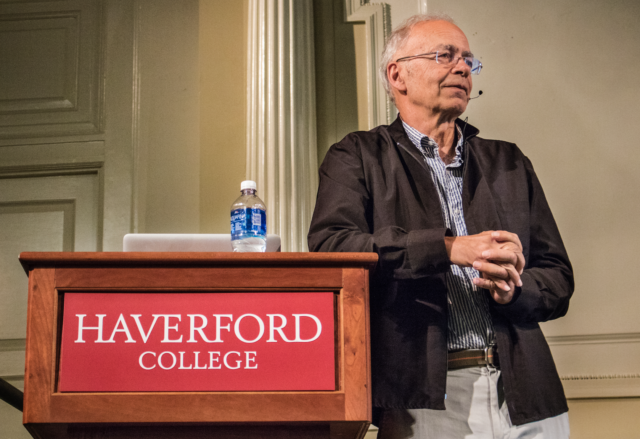 Last Thursday, Peter Singer, a bioethics professor at Princeton and one of the most high profile adherents of Effective Altruism, visited Founders Hall to discuss the Effective Altruism movement and its current progress. Effective Altruism focuses on applying analytic tools to determine the most positive impact an action can have, which can take the form of using controlled trials to test the efficacy of a nonprofit or choosing a career based on potential to do the most good in the world. But not everyone agrees with the Effective Altruists or with Singer. Major criticisms of Effective Altruism, and Singer in particular, raised by Haverford students are the lack of attention to solving systemic problems like the global wealth gap or making the world structurally beneficial to people with disabilities. Chelsea Richardson ‘18 said that she believes Singer’s views on disabilities are too simplistic because he undervalues the lives of people with disabilities for not being able to partake in some tasks that other people find important like running. In reality, she said, people with disabilities have other passions and are not living a lesser quality of life. Many of these controversial ideas were brought up during the Q&A session. 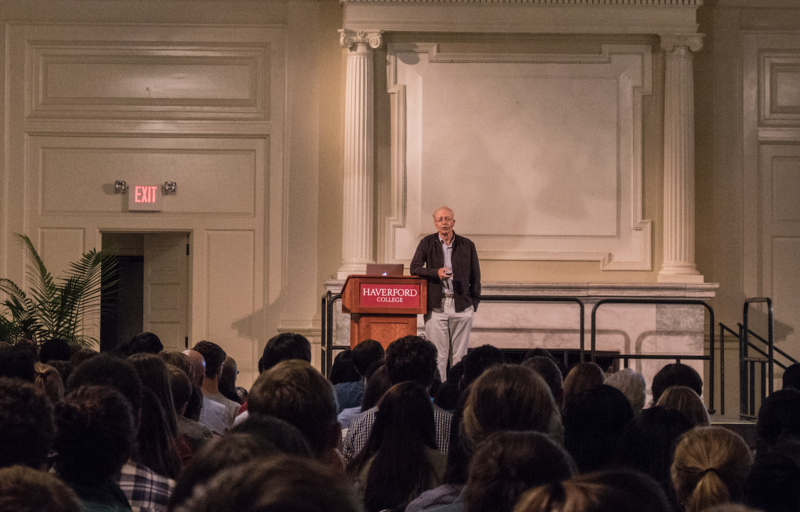 Although Singer and Effective Altruists have controversial ideas, some students said that they were still excited to hear Singer speak. 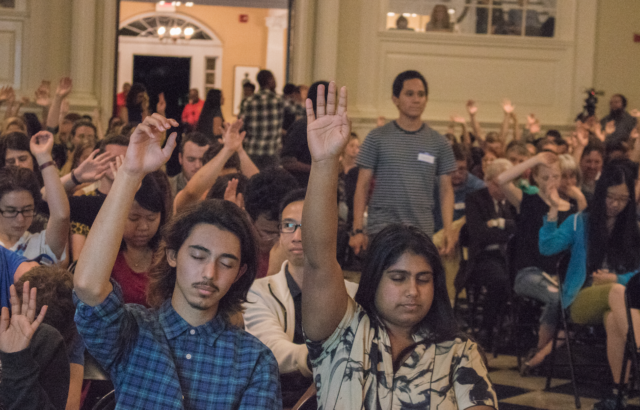 “I don’t personally agree with everything he said, but I thought it was a great event for the campus, for people who were interested, for the Trico,” Yan Dai ‘18 said. President Benston said that he hopes Singer’s visit will serve as a starting place for productive conversations about different issues. He added that a panel discussion, which was held on Friday, would allow for further discussion. “We’re not here to give people an intellectual free pass, but we’re also here to respectfully engage and critique ideas,” Benston said. Singer became a notable Effective Altruist after publishing his 2009 book, The Life You Can Save, in which he provides an argument for why people should not focus on where their charitable actions are taking place but instead should focus on the measurable impact of their actions above all other factors. In 2013, he presented The Why and How of Effective Altruism to the TED conference and in 2015 he published a book titled, The Most Good You Can Do.